The list of things to do in Big Bear is endless. Whether you are looking to explore the great outdoors or relax in your private hot tub at your Big Bear Lakefront Cabin rental, there’s something for everyone. Plus, you can’t forget about the nightlife! One of the best places to experience is The Cave in Big Bear. Check to see who is playing at this comedy and music venue during your stay, or plan your trip around it! 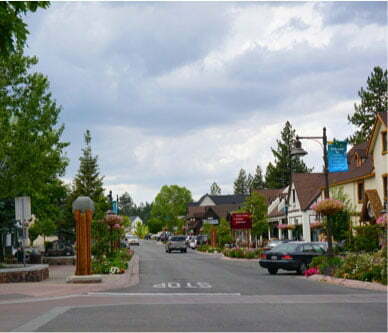 Do you want to know more about all the fun things happening in Big Bear? Take a look at our complimentary Vacation Guide! We know that knowing what to do in a new area can be challenging, so we created our free guide to save you from hours of research. 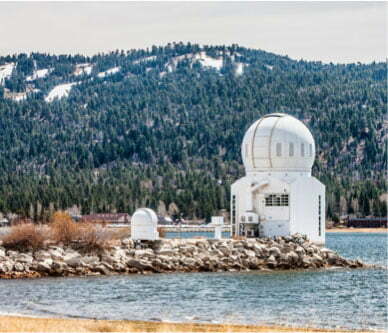 In it, you’ll find other nightlife like The Cave in Big Bear, family-friendly activities, date night ideas, and more. There is no other venue out there like The Cave in Big Bear! This local spot hosts both concerts and live comedy shows. With great lighting and sound, every show is sure to be excellent! The spacious venue leaves enough space to dance and enjoy your time here. Found in the heart of Big Bear, the convenient location can’t be beat. If you’d like to grab a drink while enjoying a show, you won’t be disappointed with the bar at The Cave in Big Bear. With gourmet concessions offered and a great selection of drink options, the bar here is a favorite of both locals and visitors alike. They even have local craft brews on tap! Some of our favorite dishes offered here are the subs, nachos, and popcorn. 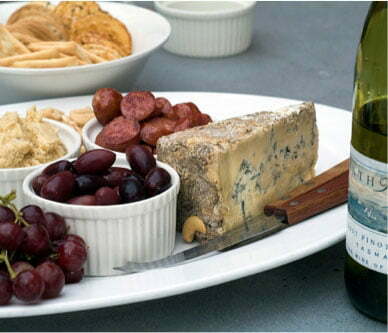 It’s perfect to munch on while enjoying a show. Both concerts and comedy shows are offered at The Cave in Big Bear. We recommend checking their schedule to see who will be playing during your stay! Past shows have included local favorites, tribute bands, DJ’s, up and coming artists, and more. How Do I Purchase Tickets for The Cave in Big Bear? Tickets for shows at The Cave in Big Bear are available online and through the box office. If you are worried about a show being sold out, we recommend purchasing tickets in advance! You’ll love staying with us at Big Bear Lakefront Cabins! 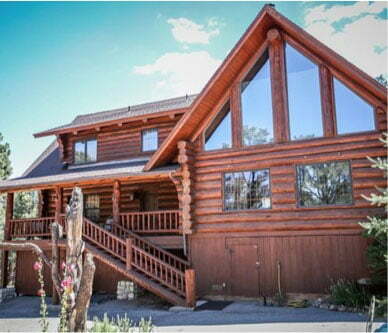 Whether you are looking for a romantic getaway or a large cabin with multiple bedrooms, we have a property for you. Indulge in a gorgeous lakefront cabin or opt for one close to the ski slopes. If you’re looking to experience nightlife like The Cave in Big Bear, consider choosing a cabin just moments from downtown. No matter what cabin you choose, it will be your home away from home during your vacation. Imagine waking up and enjoying your morning coffee outside on your private porch as you take in the gorgeous views. We know we can help complete your dream getaway!